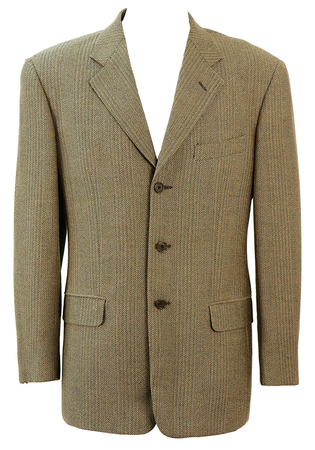 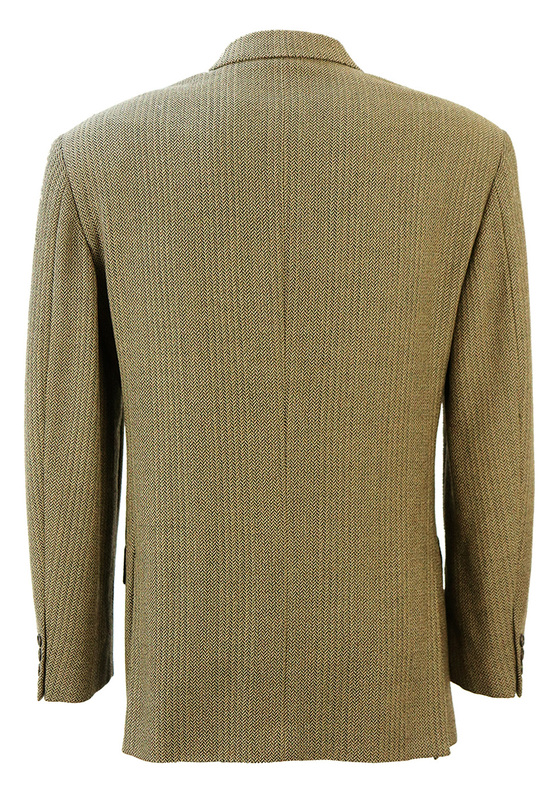 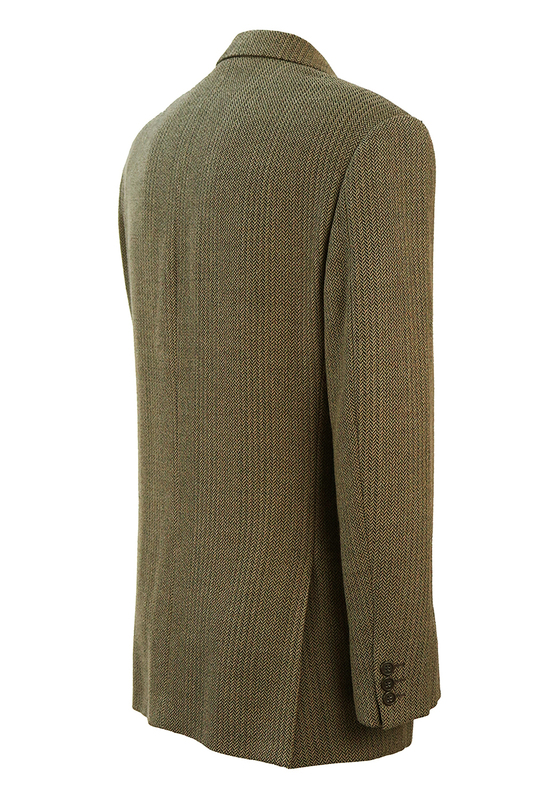 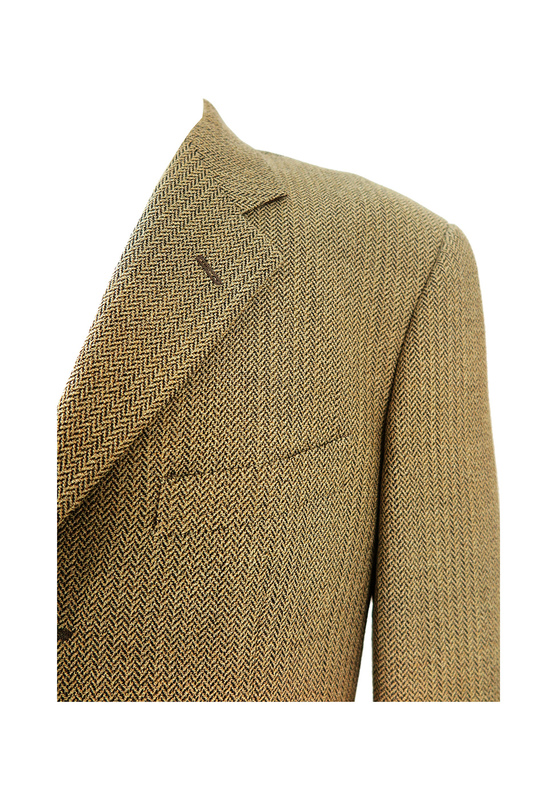 100% pure wool herringbone tweed blazer jacket in colourways of camel and dark brown. 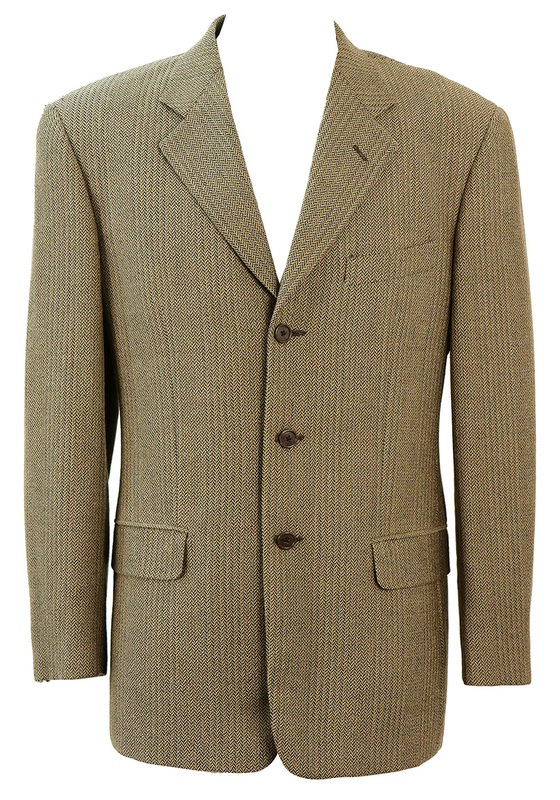 The jacket has a 3 button fastening and is expertly lined in a satin-like taupe colour. 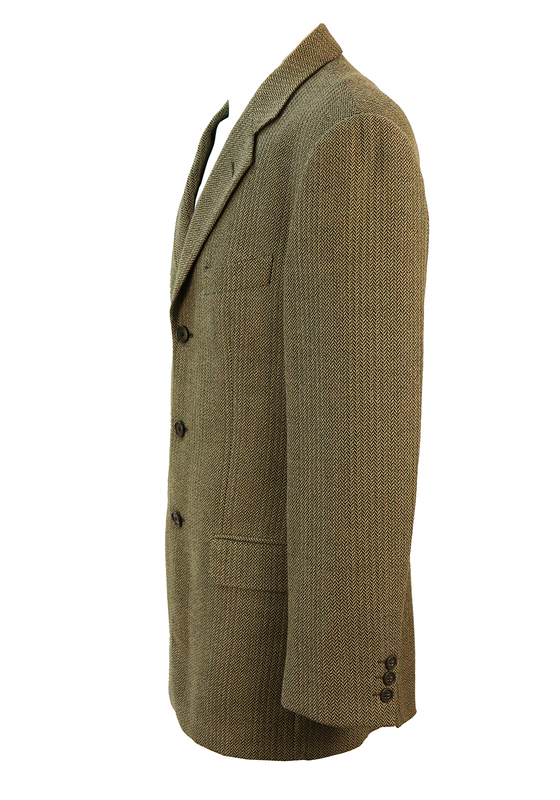 The jacket is in excellent condition and includes spare buttons in the inside pocket!